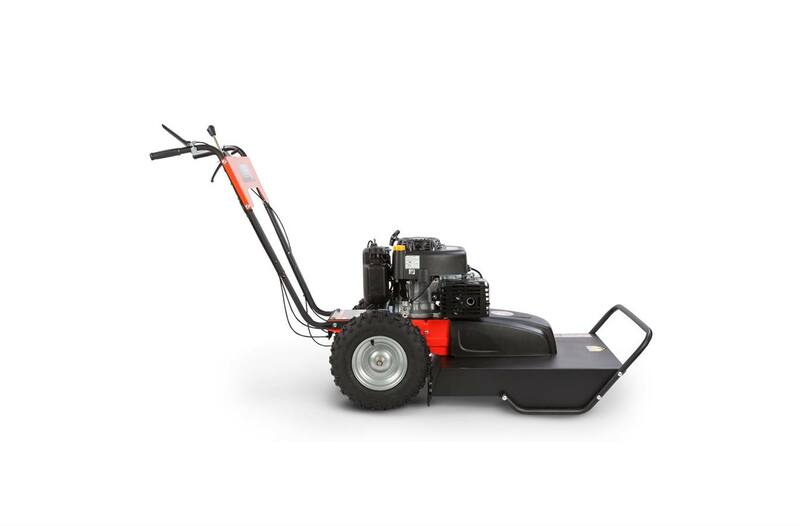 Our lightest and easiest-to-handle DR Brush Mower. 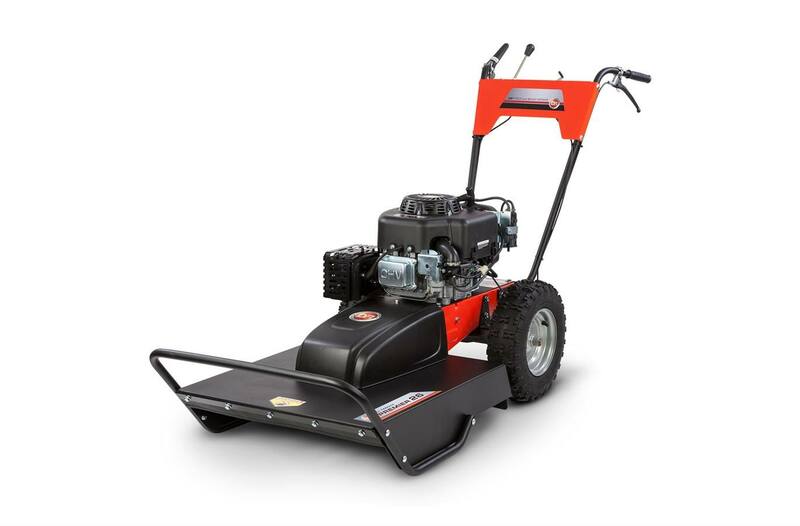 With a 26" cut and 2" brush busting ability, the PREMIER is equivalent to our PRO-26 10.5 HP model, except that it does not accept optional attachments. 13.3 FPT DR OHV Engine: Our PREMIER model is powered by our own easy-starting, DR OHV engine with 13.3 foot-pounds of torque and 340cc displacement. It features a cast-iron cylinder sleeve and dual-element air filter. CARB certified. Superior Mulching: Our decks are enclosed on 3 sides, so that cut material is chopped and re-chopped, reducing grass and brush to a fine mulch. 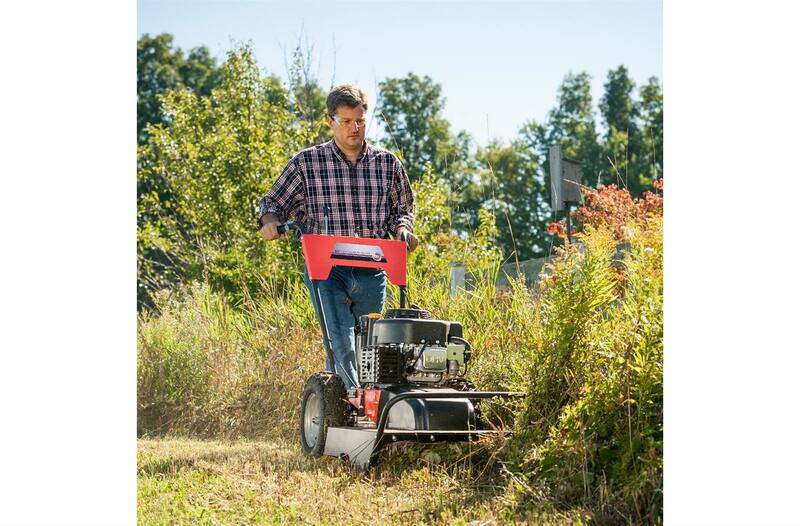 This means less material is left behind in your field, and none of the windrows you get with side-discharging mowers. Gear-Driven Transmission: Lock it in and Rip it up! 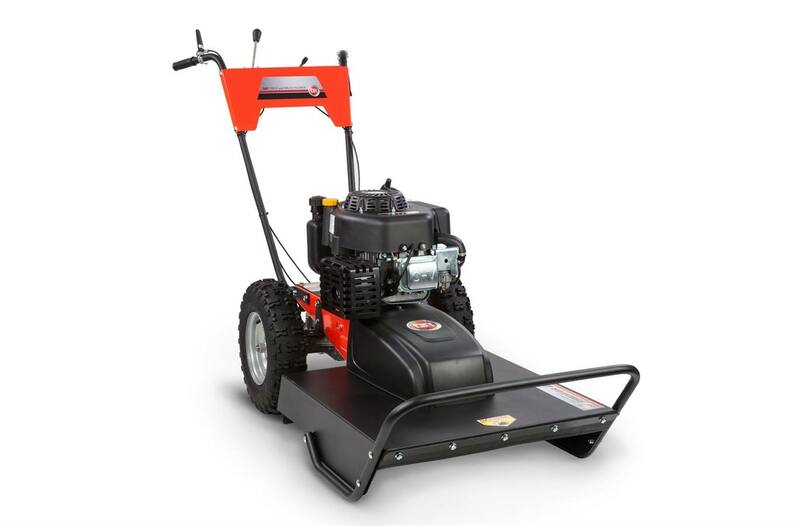 : Unlike hydrostatic drives, the DR's geared transmission lets you lock in your ground speed, leaving your hands free to steer the machine across uneven terrain (instead of fussing with touchy throttle controls as you go). With 3 forward gears, you can choose a fixed pace that's right for you. Big, Lugged Tires for Sure Traction: These are big (16" x 4.75"), lugged tires that pull the PREMIER through or over just about anything, and they are sealant filled...which means they're highly resistant to puncture. Tough as nails, apparently! 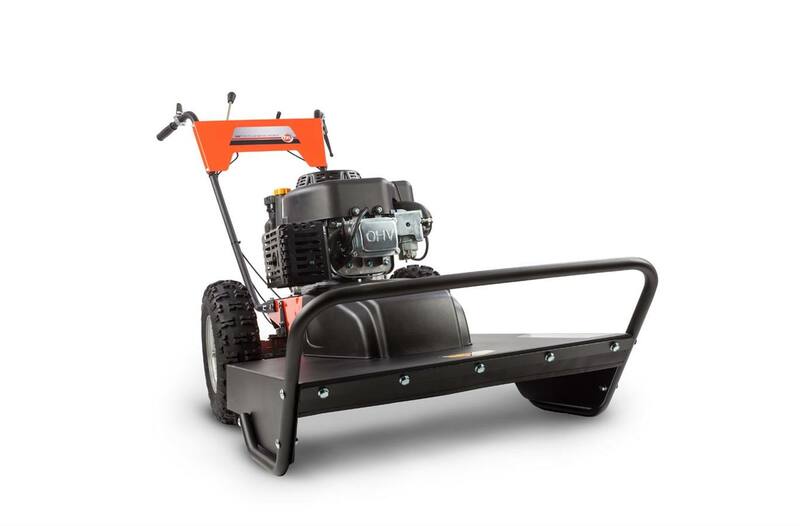 Custom-Made Blade Spindle: Made of 1.375" thick cast iron with oversized double sealed bearings, the blade spindle is integrated into the deck housing and reinforced for vibration-free performance. Designed to provide years of maintenance-free use (and abuse!). Adjustable Handlebars: A comfortable working height is important, especially when traversing rough terrain. 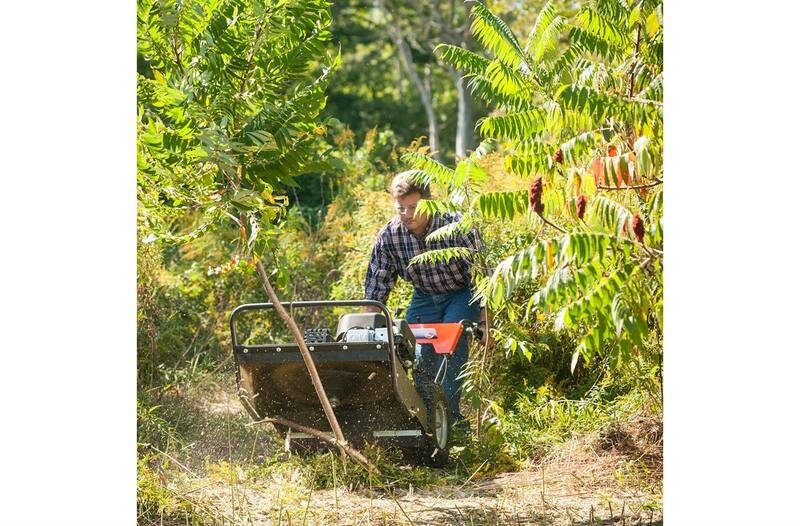 Ergonomic Controls: Both on the control panel and on the grips, all DR Field and Brush Mowers controls are designed to optimize operator comfort and minimize hand fatigue. 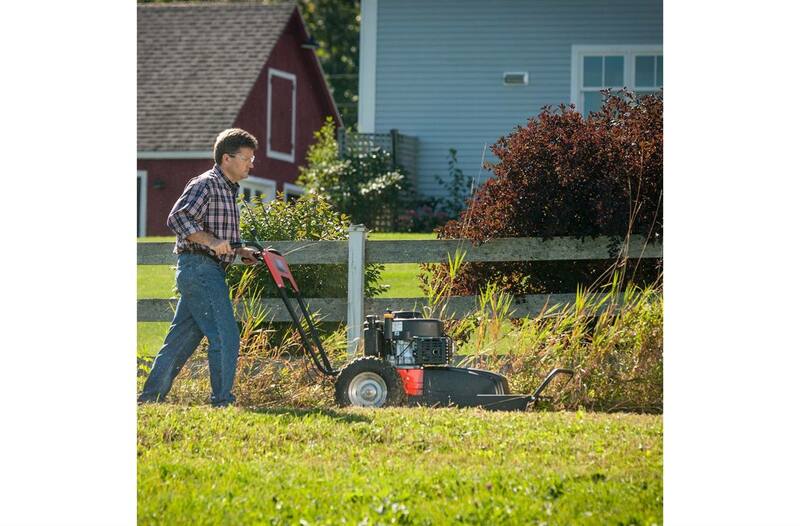 Everything you need is right at your fingertips, so there is no walking around the mower to make adjustments. Heavy-Duty Powder Coating: Our frames and decks are finished with a tough, durable powder coating that resists scratching and promotes long life. Handlebar Height: Low: 38" / High: 39.5"